Heat large nonstick skillet over medium-high heat. Add chorizo; cook 5 to 7 minutes or until finely crumbled and browned, stirring occasionally. Drain. Add Sloppy Joe sauce and cilantro; cook 2 to 3 minutes more or until sauce thickens slightly. Place 1/2 cup chorizo mixture on each roll. 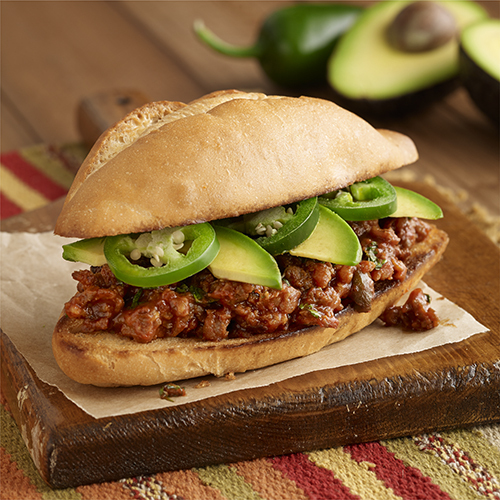 Top with avocado and jalapeno slices.